Breakfast + unlimited WIFI included in all Hotel ibis Styles Collioure Port Vendres prices. Overlooking the sea, the hotel is located on the Côte Vermeille between Collioure and Port Vendres. The hotel's 61 rooms provide guests with a true getaway experie nce on the Côte Vermeille. You'll love the hotel courtyard and the exceptional terrace where you can reenergize by the poolside and enjoy the fitness center with breathtaking views over the Mediterranean. Standard Twin Room: twin beds measuring 39" (100 cm) wide with microfiber pillows, soft duvets, 3" (7 cm) mattress toppers for greater comfort, 32" LCD TV, free unlimited WIFI access, air conditioning and a hair dryer. The hotel provides guests with a bar which is open from 6:00 am to midnight and serves drinks and local produce. Perfect location, nice size room with a view on the sea. The staff have been nice and welcoming. We will definitely go back there. Very enjoyable stay and comfortable. Bed too large for the size of room. Breakfast was superb and one evening we had the buffet which was also excellent. Would have been nicer to have had a tablecloth for the evening meal. Hotel located very close to the Mediterranean Sea. In fact, there is a short road, in front of the hotel, that allows going on foot to the beach. Room was big enough and clean. Breakfast was excellent (orange juice, from instance, from an orange dispenser). Parking plot outside the hotel. And there is a &quot;Lidl&quot; supermarket just across the street. We enjoyed the opportunity to stay in one room as a family and found the location of your hotel to be perfect for our needs. Great location. Restful hotel with all the facilites you'd expect from Ibis Styles with good size room. Friendly reception. The hotel has a good feel about it. Like that they have provided some useful local information. Good view from rooftop and the swimming pool must be a great asset in the summer months. An hot3l that is located just in the right place. Staff friendly and efficient. 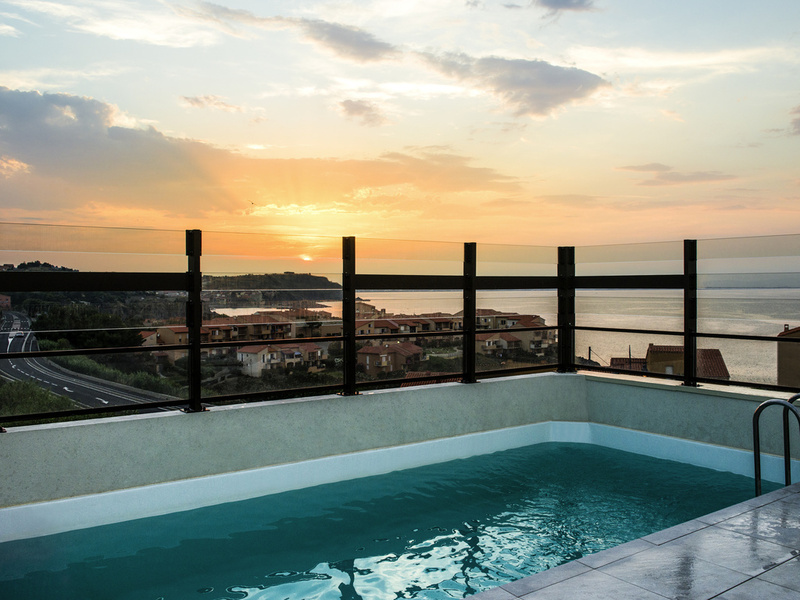 The hotel is particularly well located with a wonderful view over the Collioure bay. We felt very welcome by the whole staff and enjoyed a cosy, comfortable room. The local evening buffet is exceptionally delightful. clean tidy but some common areas are in need of cosmetic attention. Rooms are small but bed very coomfy. Staff friendly if over streached. Good hotel in walking-distance from Port-Vendres. Spacy rooms - ours was pleasently quiet. Good breakfast.